We need to crank up the pressure against Nestlé's plastic pollution before April 11! Tell Nestlé to protect communities and wildlife - ditch single-use plastic packaging today! Can you believe that the world's largest food company has built its entire business model on throwaway packaging? It makes me furious, but it's true. 98% of Nestlé's products are sold in single-use packaging. We need Nestlé to make big changes this year and that means we need to crank up the pressure before the corporation's annual shareholder meeting in two weeks. ADD YOU NAME to demand Nestlé make real commitments to protect our oceans and communities by phasing out single-use plastic packaging! We need hundreds of thousands of signatures before April 11 to make Nestlé feel the heat. There is no time to lose. Have you heard that every minute a truckload of plastic enters the oceans? Corporations - starting with Nestlé - must reverse their tie of plastic pollution or even more communities, whales, sea turtles and birds will suffer. I know people-power can force Nestlé to go from pollution to solutions. How? We're building off your successes. Some of the biggest food service and supermarket companies are stepping away from plastics and that will put pressure on corporations like Nestlé. Nestlé is already feeling the heat. Because millions of people like you have already spoken out. Nestlé has finally acknowledged that recycling alone won't solve the plastic pollution crisis. Now it's up to you to make sure Nestlé goes beyond greenwashing and makes real commitments to phase out single-use plastic. It knows its reputation is at stake. We're building a global movement. Millions of people, and dozens of organizations, from every continent, are posed to take creative action calling out Nestlé. That is a force that cannot be ignored! 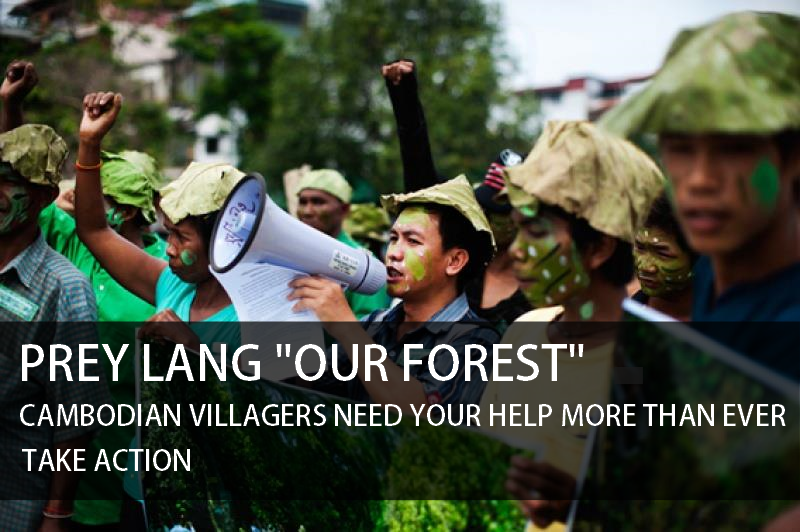 But for your voice to have the biggest impact, I need you to speak out right now before Nestlé's Annual General Meeting for shareholders on April 11. This is the most important day of the year, and our biggest chance to expose its massic plastic pollution. Sign the petition to Nestlé today! By taking action today, you will help change history. Nestlé is such a big corporation that commitments to phasing out single-use plastic will shift the entire industry. You can make Nestlé - and other mega-corporations - see that breaking free from plastic isn't a passing trend, but a movement that won't stop until we have a circular economy based on reuse, instead of waste. It won't happen unless you start taking action right now. P.S. Nestlé's Annual General Meeting for shareholders is April 11. This is the perfect time to crank up the pressure on Nestlé. Sign the petition to demand Nestlé immediately move toward phasing out single-use plastics and embracing systems of refill and reuse. If you’re feeling despair about the fate of humanity in the 21st century, you might want to reconsider. In 2017, it felt like the global media picked up all of the problems, and none of the solutions. To fix that, here are 99 of the best stories from this year that you probably missed. RIGHT NOW, the world’s remaining rainforests are being cut down and replaced with palm oil and soybean plantations, and cattle ranches. 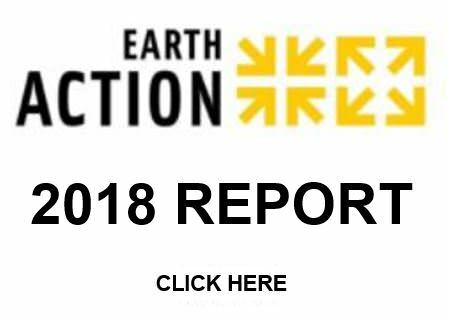 Here’s an Action Alert from Friends of the Amazon. Please take the action they suggest to send a message to the President of Peru. "Young U.S. children from poor families are seeing an unprecedented drop in their levels of obesity, according to new data from the Centers for Disease Control (CDC). The findings represent the first time ever that the government has witnessed a widespread reduction in low-income children’s obesity rates and may bode well for America’s public health at large. The obesity rate for poor children aged two to four fell in 18 states and the Virgin Islands between 2008 and 2011. Only three states witnessed a rise in obesity, while 19 others — as well as the District of Columbia and Puerto Rico — experienced no significant changes. That’s a far cry from a similar analysis conducted in 2009, when 24 states saw higher childhood obesity rates among low-income families and only nine states or territories underwent a decline. Although the reductions themselves are modest — averaging around one percent — scientists consider them widespread enough to be significant. “[W]e’ve seen isolated reports in the past that have had encouraging trends, but this is the first report to show many states with declining rates of obesity in our youngest children after literally decades of rising rates,” said CDC director Dr. Tom Frieden during a press conference. Low-income and minority children suffer from disproportionate levels of obesity. Although one in eight preschoolers nationally are obese, the numbers rise to one in five for African Americans and one in six for Hispanics aged two to five. These Americans often become obese because of combination of genetics and socioeconomic setbacks, including inadequate access to healthy food, poor living conditions, and the physical and mental health stresses of struggling with inequality. Children who become obese at a very young age are five times more likely to remain obese as adults. Although researchers cannot point to a single reason for the unprecedented decline, several cultural and policy changes are likely to be boosting the trend. A recent CDC report found that while low-income and minority mothers still breastfeed their babies — which doctors widely believe to help prevent obesity and diabetes later in life — in lower numbers than richer white women, there has nonetheless been a significant rise in breastfeeding among all U.S. mothers. Better nutritional and public health regulations may also be a factor. Mississippi saw its childhood obesity rate plummet by 13 percent between 2006 and 2011 thanks to aggressive school nutrition and physical education programs that were passed in 2007. First Lady Michelle Obama has led a national campaign to fight childhood obesity through better food and exercise — a movement that 10,000 child care centers in America have embraced. Those nutritional policy reforms may become more widespread thanks to Obamacare funding for local preventative health care efforts and regulations taking effect this year that force public schools to trade in junk food in cafeterias and vending machines for healthier alternatives. Recent reports also indicate that Americans are taking their health more seriously. Over 55 percent of Americans are concerned with eating a healthier diet and 54 percent want to achieve a healthy weight — goals that they may be enforcing on their children. If the downward trend in low-income childhood obesity holds, it could be great news for U.S. health care costs, the public wellness, and workplace productivity. Obesity-related illnesses comprise between 10 and 15 percent of public and private insurance costs. The condition is also estimated to cost the economy about $73 billion annually through medical costs and worker absenteeism." There’s a symphony of life that we’re not listening to — we’re only hearing our own voices. We’re not listening to the welfare of animals or the environment that we share in. In our globalized society, it’s hard to really pinpoint where our food comes from and the impact of one meal. Changing how we eat can significantly impact who and what we support. Here's a case for why eating more vegetarian or vegan meals is a step in the right direction. In the U.S. alone, ten billion land animals are raised and killed for our consumption and it’s become too expensive. The expense goes beyond price you pay at the super market, the real toll is on the environment. So much energy goes into the factory farms, and out comes waste like greenhouse gases, topsoil depletion and polluted water from animal waste. Thousands of acres of forests are chopped down for grazing animals. As a result, the potential benefits from the vast diversity of plants and animals in the Brazil's rainforest, not to metion the carbon sequestration from the "Earth's Lungs", are slipping through our fingers. There’s also a lot of energy spent in the form of food that goes into the feeding of animals. Grains such as soy and corn are fed to factory-raised animals, with less food being produced in return. This is food that could easily feed the hungry people of our world. Eating more vegetarian or vegan meals is not only less likely to feed these dynamics of waste, but also avoids the problem of the often times inhumane and exploitative treatment of animals. Whenever we hear of terrible abuse towards farm animals we think it must be the exception. In fact, the poor treatment of animals in factory farms is the norm. Incorporating more vegetarian and vegan meals is a step away in the right direction, and it can be healthy and fun to boot. Contrary to popular belieft, eating vegan doesn’t have to be expensive. This is especially true when you consider the reduction in health costs as a result of lower cholesterol, reduced salt and saturated fat intake, and avoiding the ill-effects of hormones, antibiotics, and pathogens that may lead to obesity, heart disease, stroke, cancer, and diabetes. Be conscious of some of the politics of your food. Start by having more veggie dinners this week with your friends and family! Chris Daly is the Promotions Intern at Earth Action. After high school his passion for social justice began with the two gap years he took before college. He worked for the AmeriCorps program City Year in Boston and New York City where he did community organizing and civic engagement work. It was this work that made him realize this was what he wanted to do with his life but felt limited without furthering his education. His focus is on Latin American studies, anthropology, and human rights work while also enjoying interests including bicycling, blacksmithing, street art, and cooking. The question on many consumers' minds while staring at an array of beautiful produce trucked to their local grocer from Mexico, California, Chile and other far-away locales is, exactly how much better for me are the tomatoes labelled "organic" over "conventional"? Are the health benefits worth the steep price tag? They may be, but a major study by the Rodale Institute in Kutztown, PA concluded that the main advantage of organic produce over conventional is not in organic food's health benefits for individual consumers. The 30-year study shows that there are major ecological benefits to organic agriculture which can impact more than the individual pushing the shopping cart. It has often been argued that organic agriculture cannot provide enough for the world. Rodale Institute’s study contradicts this point of view. Comparisons of conventional and organic plots did not show any difference in total wheat, corn or soy production per acre. Moreover, during the drought years, organic plots provided 30% more harvest than conventional plots. In an interview with the Huffington Post, Mark Smallwood, Rodale Institute’s executive director, stated: "If we're looking to feed the world for the next 50 years, conventional can do it. But if we're looking at feeding the world for the next 1500 years, we must switch over to organic." The usage of petroleum-product contributes to the sustainability gap between conventional and organic agriculture. Even though both methods use diesel fuel for farm equipment, some 41% of conventional systems' petroleum consumption comes from using harmful, nitrogen-based fertilizers. Sustainable soil health is another factor which differentiates the two systems. Conventional agriculture relies on crude-oil-dependent artificial fertilizers for the soil's macronutrient content. The use of such heavy-duty pesticides has been referred to as the pesticide treadmill, a dangerous cycle which, once begun, is difficult to come out of. When dwindling oil supplies or rising fossil fuel prices begin to impact the availability and price of synthetic fertilizers, it will be the organic farms that will remain prosperous. • Organic yields match or surpass conventional yields. • Organic yields outperform conventional yields in years of drought. • Organic farming systems build rather than deplete soil organic matter, making it a more sustainable system. • Organic farming uses 45 percent less energy and is more efficient. • Conventional agricultural systems produce 40 percent more greenhouse gases. • Organic farming systems are more profitable than conventional farming systems. Mark Smallwood shed light on the high cost of organic food explaining, "one of the reasons is that there aren't enough organic farms. It's because demand is higher than supply." To combat the discrepancy in supply and demand the Rodale Institute proposes several policy recommendations based on their study; to expand organic research funding, to ensure fair and appropriate risk management tools, to meet market demand, to create a robust organic transition assistance program, and to reward environmental benefits. 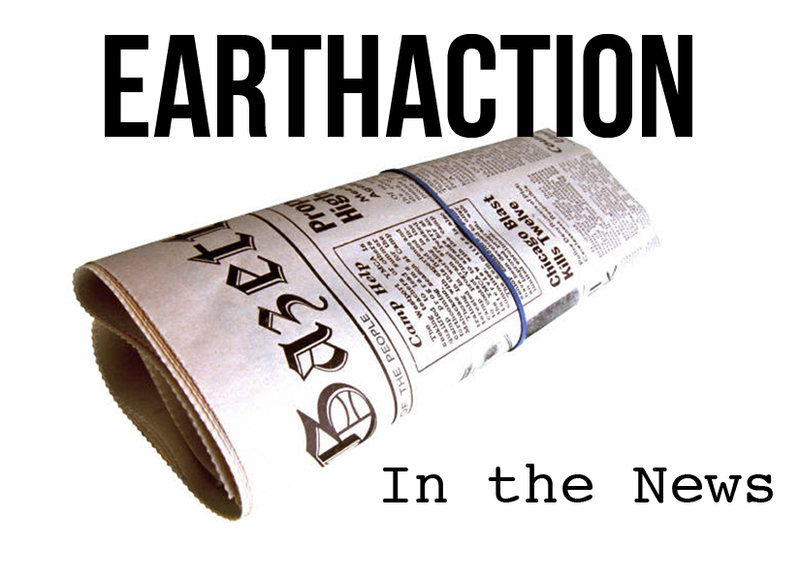 We at EarthAction don't typically send out emails about local campaigns. However, we thought this one was so important to the Pioneer Valley that we decided to send it to our Western Mass partners. Please see the email below from our friends at the Northampton Sierra Club. Tonight is the kickoff for their Beyond Coal campaign to finally retire the dirty, aging coal plant in Holyoke, MA and replace it with clean, renewable energy. We hope that you'll join us for tonight's meeting! Do you care about clean, healthy air? How about creating local green jobs? Sierra Club Beyond Coal Campaign Kickoff Meeting! Coal is dirty, dangerous and outdated. The Mt. Tom coal plant in Holyoke, MA is over 50 years old and releases toxins like mercury and sulfur dioxide. These toxins are a threat to our health and environment. In Holyoke alone, where the plant resides, asthma rates are more than double the state average and everyone that lives within 30 miles of the plant is at risk. Northampton, Amherst, Easthampton, Hadley and South Hadley are all high risk communities. The Pioneer Valley has the right to clean air and water, and deserves renewable energy and clean jobs. Right now, the Pioneer Valley has the chance to transition from coal to further investments in energy efficiency, wind and solar—and the Governor is a key actor. Pioneer Valley supporters of clean air are working to replace coal with renewables in Western Massachusetts, and are hoping to convince Governor Deval Patrick to join them. Join us on Tuesday to learn more about the local Beyond Coal campaign to move the Pioneer Valley beyond coal and how to get involved! The event is free and open to the public. Speakers include Jane Andresen of the Alliance for a Healthy Holyoke, Drew Grande of Massachusetts Beyond Coal, and more. Please RSVP for the Kick-Off Meeting by clicking here. Valentine to the King of Norway: Stop Farm Fishing in BC! "You can help take a stand against the biological and social threat and commerce of industrial marine net-cage feedlots using our global oceans. The science is clear: these operations risk wild salmon populations by intensifying disease and deplete world fishery resources to make the feed. They privatize ocean spaces and threaten sovereign rights to food security." You can send this valentine to your friends and family to raise awareness, post it to your blog, and mail or e-mail the King of Norway directly. Letters may begin, "Your Majesty, King Harald of Norway, For the Love of Wild Salmon please instruct your fish farmers to get out of the coastal waters of British Columbia and all the world's oceans.” For more letter ideas click here. For more information, see salmonaresacred.org or alexandramorton.ca. We can help create a more just and food secure future for us all.